Established in the 1980s, Clanwilliam Health is the Pharmacy and Practice Management solutions division of Clanwilliam Group. Earlier this year, Clanwilliam Health was recognised in SME News’ 2019 Business Elite programme for their flagship product: DGL Practice Manager. We spoke with Eileen Byrne, Managing Director of Clanwilliam Health, to find out why DGL Practice Manager has become the definitive tool in healthcare management. Over the last thirty years, Clanwilliam Health has steadily forged a reputation that has been defined, primarily, by innovation. 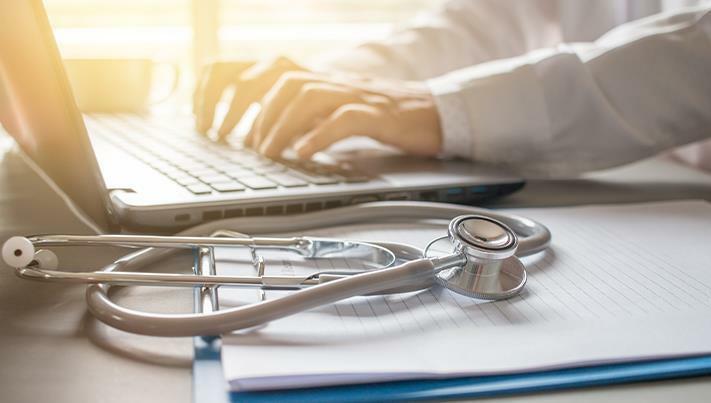 In this new technology-driven world they have capitalised on a need for comprehensive solutions to problems that still pervade the healthcare sector. Catering particularly to pharmacies and clinical practices, they have specialised their product line to offer best in class and utterly essential tools for today’s modern healthcare services. Diving into the core of Clanwilliam Health’s work, Eileen sheds light on the firm’s flagship product and how it was created – from the ground up - to be both innovative and intuitive. “DGL Practice Manager is the leading virtual practice management suite providing users with a hosted and integrated solution with virtual desktop access to Microsoft Word, Excel and Outlook. It allows consultants, secretaries and practice managers to manage every area of a practice or clinic from one central location including administration, finance, correspondence, clinical, reporting, appointments and much more. “DGL Practice Manager helps improve workflow management and efficiency, ensuring that more time is spent on delivering the best patient care and providing an incredible patient experience. With easy access to full medical history and general health information, it also allows users to quickly monitor the patient’s journey from first step through to the end of care stage.” Supplementary to this, Clanwilliam Health also offers software applications, both local and web-based, to community and hospital pharmacies. Clanwilliam Health’s experience has proven to be a key differentiator as the sector becomes ever-more competitive. “Thirty years of experience developing and designing healthcare software has given us a great understanding of the needs of healthcare professionals and enabled us to create solutions that directly solve our client’s needs. As such, we are constantly updating systems and designing new innovative solutions to meet the healthcare standards for the modern and ever-changing market. We really listen to our customers and welcome all feedback and ideas in order to improve our offerings, so they always meet and exceed expectations.